The town of Centralia, Pennsylvania has been on fire for more than fifty years. Founded in 1862, Centralia popped up in response to the booming coal mining industry. Anthracite coal, a type of coal once in high demand for heating homes, lay under the town and surrounding area in massive quantities. (In fact, approximately 95% of all anthracite coal in the United States is in Pennsylvania.) Some estimates put the total amount of coal under Centralia before mining began at 25 million tons. So it’s no surprise that the town thrived for a while with over two thousand residents living in Centralia during its peak. However, when the 1960s rolled around, more and more people were moving away from using coal for heating, reducing the demand for anthracite coal. As a result, the population of the town had shrunk to between 1,100 to 1,200 people. In addition, mining companies had removed approximately fifty to seventy percent of the usable coal beneath the town and the surrounding area by 1962. No large scale mining took place in town anymore, though other veins of coal continued to be mined elsewhere in the area at that point. The Centralia Mine Fire began in the days before Memorial Day in May of 1962. The exact nature of what locals refer to as “The Incident” is debated to this day. The most accepted theory states that Centralia’s volunteer fire department intentionally set fire to the town trash dump to decrease the amount of trash before Memorial Day since it was located near the town cemetery. 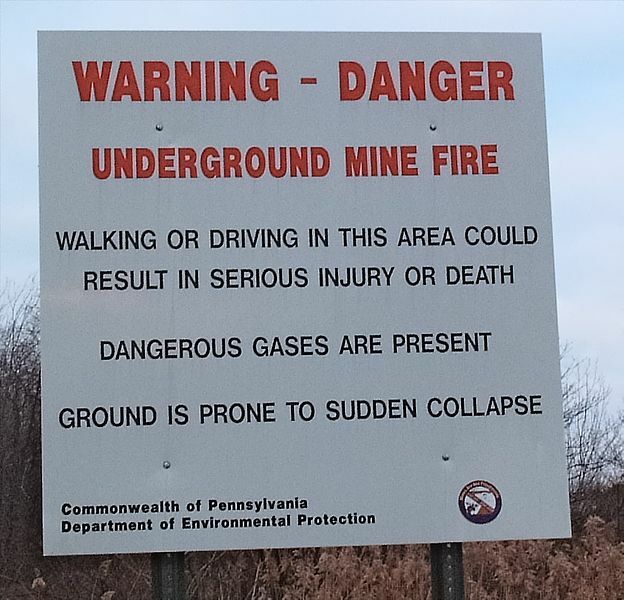 The volunteer firefighters failed to notice that an opening to the mine shaft lay hidden beneath the trash, and the fire spread into the coal mine underground. Regulations requiring that the entrances to unused mines be sealed off to prevent such fires existed at the time, but this opening was simply overlooked. When the fire was discovered on May 27th, 1962, the Department of Environment Resources and the Centralia authorities tried and failed to put out the fire during the summer. A lack of funds severely restricted the firefighting efforts then, when it was most beatable. They tried to extinguish the fire several more times over the next twenty years, trying such things as digging deep trenches, as well as flushing the fire by dumping wet sand in tunnels, in both cases to cut it off from spreading, among other extinguishing methods. All total, the government spent around $7 million to try and put the fire out, but the fire always bested their efforts. Eventually, they gave up because the fire didn’t seem to be posing any danger to Centralia or the surrounding towns and the one tangible solution to stopping the fire (digging a massive 45 story deep and nearly mile long trench around where it had spread) would have cost over a half a billion dollars. At this point, the Commonwealth of Pennsylvania closed a handful of mines near the Centralia mine due to dangerous gases traveling through the connected areas into those other mines, but otherwise ignored the situation. 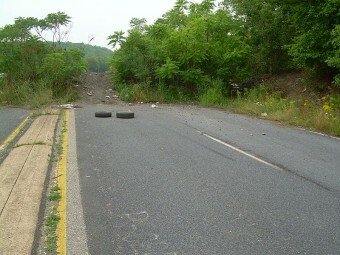 The residents of Centralia took the fire in stride at first. They even benefited from the ground being heated. For instance, their sidewalks and driveways no longer needed shoveling during the cold, snowy months. Others benefited from having warm soil in their gardens and could harvest tomatoes in winter. But, in a sign of things to come, a gas station owner discovered in 1979 that the fire had heated his underground fuel tanks to a 172 degrees Fahrenheit. While not anywhere near a critical level (gas vapors don’t ignite until around 500 degrees Fahrenheit and the boiling point isn’t until about 410 degrees F), it was nonetheless a sign of just how hot the ground was getting in certain areas. Gasses and heat from the fire also began to kill vegetation above ground. 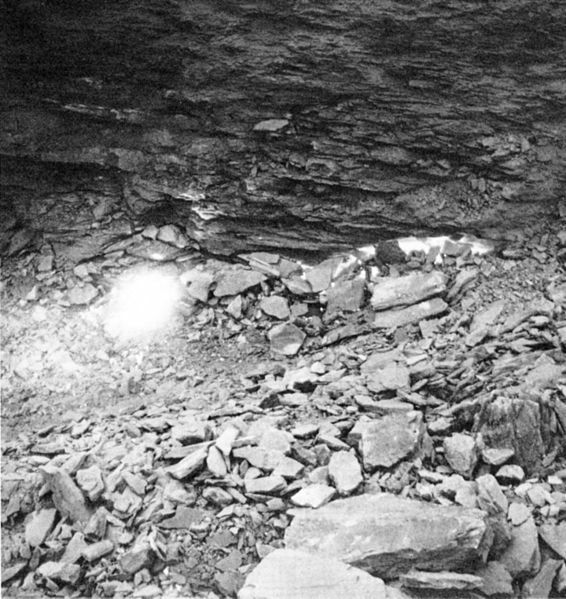 Then in 1981, the Centralia Mine Fire brought national attention to the small Pennsylvania coal town. A twelve-year-old boy by the name of Todd Domboski was cutting through his grandmother’s backyard when the ground opened up beneath his feet. 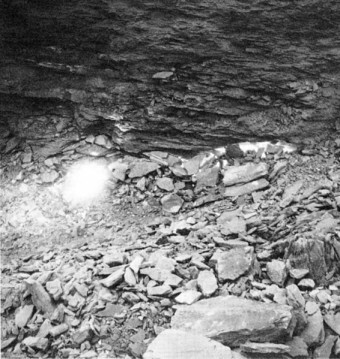 Heat from the mine fire warmed the ground and ultimately opened a sinkhole. Domboski managed to stop his slide into the sinkhole and a fiery, smoke-filled death below by grabbing onto a tree root and shouting for help. Had his cousin not been nearby to quickly help pull him out, Todd Domboski most likely would have died from inhaling the carbon-monoxide filled smoke billowing around him from the sinkhole. The near-miss made headlines across the United States and spurred the government into action. The U.S. Congress earmarked $42 million for the purpose of buying out and relocating all of Centralia’s citizens. In the end, Pennsylvania spent about $52,000 per house on average to relocate the residents of Centralia. While most Centralians eventually chose to take the money and leave town for a safer place to live, a handful of residents refused to leave their homes. They claimed that their houses were safe despite the fumes and other dangers because they weren’t in the path of the fire. Nevertheless, Pennsylvania’s government declared eminent domain in 1992, meaning that the government could seize private property so long as they compensated the property owners. Those who remained in Centralia became squatters. The residents who remained in town underwent a lengthy court battle with the state in order to keep their homes. They argued that the government buyout originated from an underhanded plan to gain valuable mineral rights. The Commonwealth of Pennsylvania argued that this has never been their intention and that the buyout does not impact mineral rights. As of June 2014, the eight remaining residents of Centralia have been given the right to live out the rest of their lives in the town with the government taking possession of their land after their deaths. The town of Centralia is now virtually a ghost town. The properties that the state either purchased or seized have been leveled, and the vegetation has been allowed to run rampant. The Centralia Mine Fire has burned for over fifty years and is showing no signs of slowing down. Some estimates claim that there is enough coal under Centralia to fuel the fire for another two hundred and fifty years or so. Needless to say, the town will not be rebuilt anytime soon, though the handful of remaining locals do note it has become something of a tourist attraction, with a few thousand people a year paying a visit. 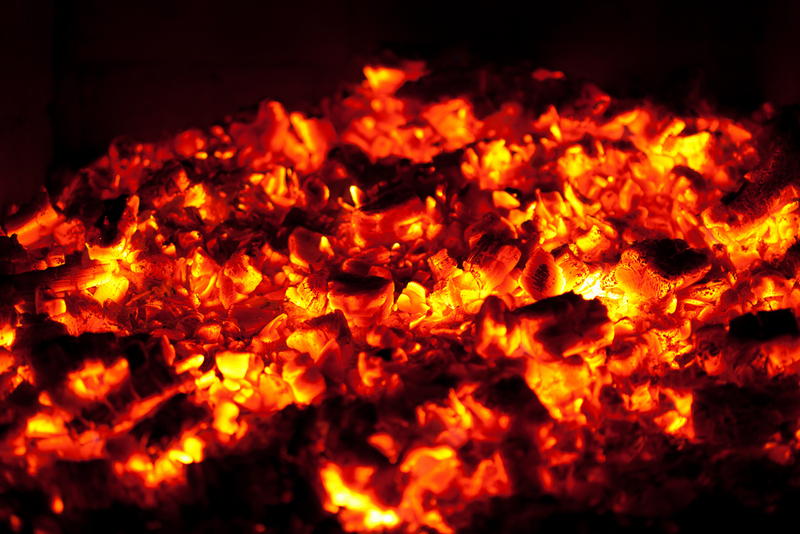 The oldest known underground coal fire is thought to be Australia’s Burning Mountain, which has been smoldering for an estimated 6,000 years. China ranks in as the country with the most underground coal fires with an estimated 20 million to 200 million tons of coal burning in these types of fires each year. India and Indonesia round out the top three countries with the most severe coal fires. There was a time capsule buried in Centralia in 1966. The few citizens left in town plan to dig it up in 2016. The state of Pennsylvania closed part of highway PA53/PA61 just south of Centralia in 1994 because the movement of the Centralia Mine Fire caused the highway to buckle and it would have been too expensive for the state to repair it. Another popular theory about the start of the fire that began in 1962 claimed that a fire from a mine explosion during the 1930s was never extinguished and caused the most recent fire. GREAT WRITEUP. ENJOYED READING IT. IN INDIA ALSO, WE HAVE A SIMILIAR BURNING CITY (I THINK IT IS JHARIA COALFIELDS THOUGH I M NOT SURE) FOR THE PAST 70 YEARS. The movie ‘Nothing But Trouble’ is based on this story. Humorous and educational…with an all-star cast. I thought fire is not possible without air.how much will it cost to create an air barrier!.or air is trapped in coal?.